Arnold Law Group, APC is an experienced full-service law firm. Our attorneys provide aggressive, quality legal representation in diverse areas of practice—including family law and bankruptcy law. We understand that we are in a “results-oriented” profession, which is why we fight to achieve the best possible results. We remain current with relevant laws and legal trends, and we are committed to the continuing education of our team members, who regularly attend or present educational seminars relevant to our areas of practice. Prior to forming Arnold Law Group, APC, Mr. Arnold worked as a managing partner in the law firm of Arnold & Blea, LLP. Mr. Arnold served with distinction as a Sergeant with the Madera County Sheriff’s Department. He received his Associate Degree from Fresno City College, and a Bachelor’s Degree and Master’s Degree in Business Management from Fresno Pacific University. Mr. Arnold graduated near the top of his class, receiving his Juris Doctorate from San Joaquin College of Law. Since graduating, Mr. Arnold has litigated several high profile cases, including Pinto v. City of Visalia, Cross Church v. The Men’s Society and several other complex cases that have been heard at the appellate level and one that was brought to the attention of the California State Supreme Court. 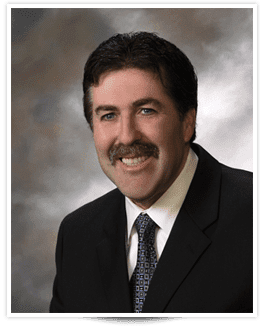 Mr. Arnold is an active member of, and in good standing with, the California State Bar Association, the Fresno County Bar Association, the Los Angeles County Bar Association and the California Public Defender’s Association. After working with the District Attorney’s Office and as an Associate with a respected labor law firm, Mr. Arnold opened his own practice, where his litigation experience and expertise have been in very high demand. Mr. Arnold has been asked to litigate cases throughout California; however, his main practice is in Fresno County and surrounding areas. He has built a successful law firm by being compassionate to the causes of his clients, aggressive in seeking justice on their behalf and available to communicate. Mr. Arnold is a graduate from California State University, Fresno and holds a Bachelor's degree in Business with an emphasis in Management. Mr. Arnold continued his education at San Joaquin College of Law, where he received his Juris Doctorate Degree. 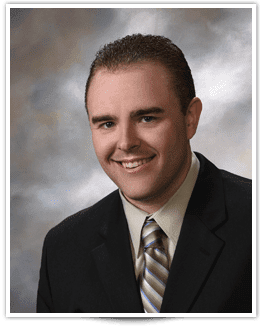 Since graduating, Attorney Arnold has become Arnold Law Group, APC's bankruptcy expert, working closely with his clients to alleviate debt and bring a strong sense of financial freedom. Mr. Arnold is an active member in good standing of the United States Eastern District of California Federal Court. Mr. Arnold is well versed in Chapter 13 and Chapter 7 bankruptcy cases. In Mr. Arnold’s spare time, he enjoys golf, as well as, being outdoors. Mr. Arnold enjoys challenges and with his competing spirit, works hard to bring justice and real results to his clients.